I’m not one to really believe that any cream or potion can actually turn back time and reduce the signs of all those late nights and too much rose wine. 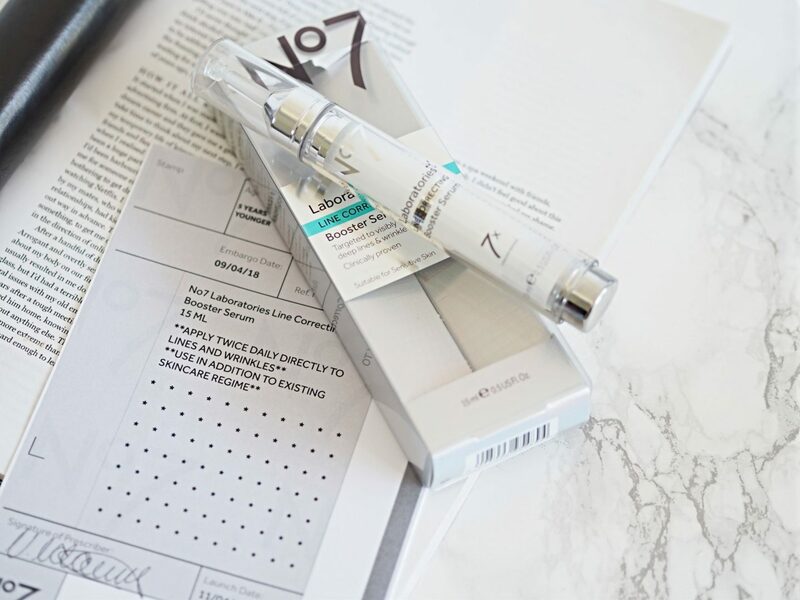 However, when I heard that in one week women saw a visible reduction in the appearance of lines and wrinkles on their forehead and around the eyes after using the No7 Line Correcting Booster Serum, and that it’s been clinically proven to reduce the appearance of wrinkles by up to 5 years I was understandably intrigued…. I tried botox once about 1.5 years ago and loved the results. Unfortunately though for me the results only lasted about 2 months, so I couldn’t be bothered with the expense or upkeep to have it done again. At 35 years old I do have some unwanted crows feet and some lines on my forehead that are getting deeper by the year. So to think there could be a serum that has a similar effect to botox, that I can use at home and costs a lot less, I was looking forward to giving it a go. 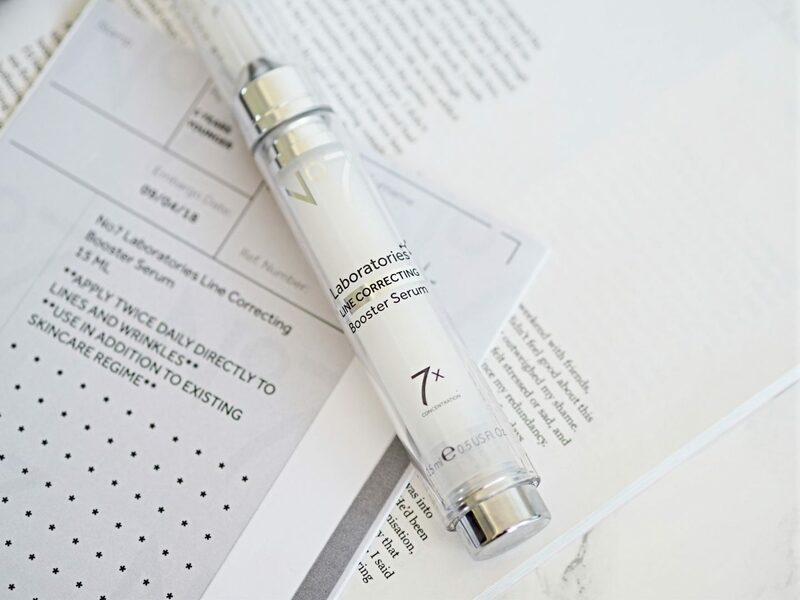 The secret of the Line Correcting Booster Serum according to No7 is the super concentrated levels of Matrixyl 3000 Plus. 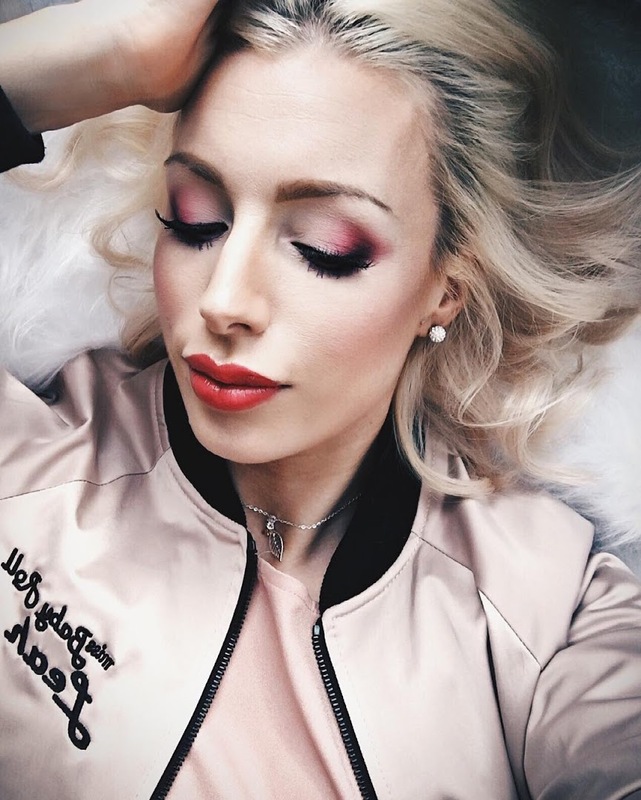 Matrixyl is a peptide used in many anti-aging products as it’s said to boost collagen and elastin production, which is vital for keeping skin youthful. The Line Correcting Booster Serum only needs to be applied to the areas of concern – so in my case it was around my eyes and forehand. In the morning and evening, after you have cleansed and before your normal moisturiser. I wanted to wait until I’d used my whole tube of No7 Line Correcting Booster Serum before writing this review to give it a fair chance. Sadly, however I’ve not seen any difference in my fine lines or wrinkles. It was nice to apply and soaked in quickly but I can’t say that it’s done anything for my skin. The stats and results of this serum sound very impressive, but unless there is a 100% success rate you can’t expect it to work on everyone I suppose. 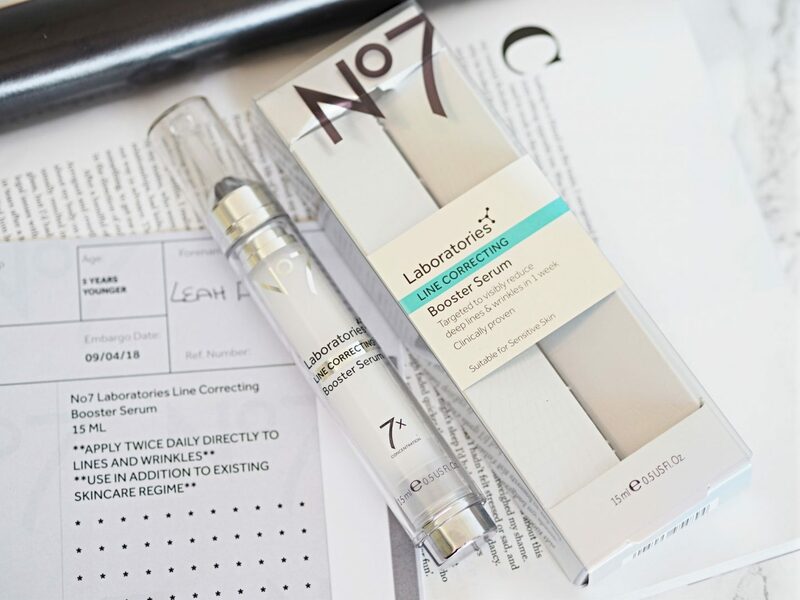 So for me it’s a no no, but if you want to give it a try for yourself you can buy the No.7 Line Correcting Booster Serum exclusively at Boots here and it costs £38.00.